We’re blown away by how beautiful New Zealand is and this post is just about the North Island! There is so much to see and do here, it’s incredible. I’ve put this short blog post together to just summarize a few of the beautiful things available to see and do on the North Island. Hope you enjoy. 1. 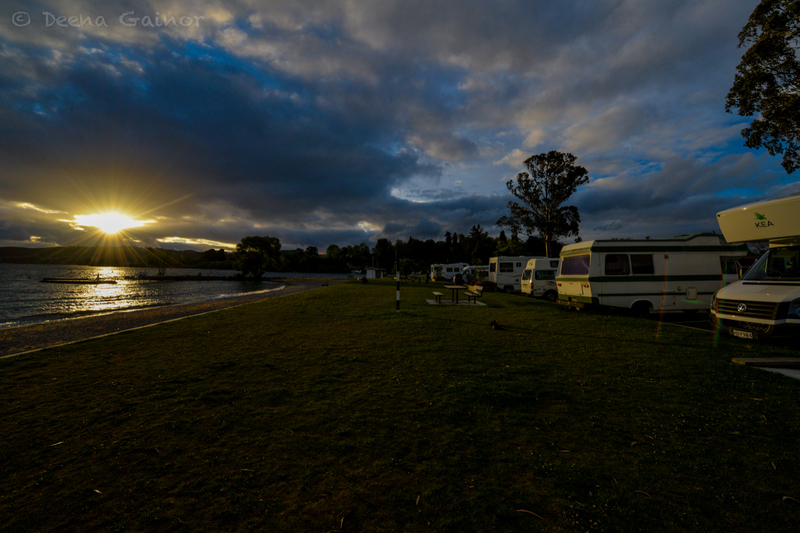 One of the best ways to explore New Zealand is with a Campervan. Kea seems to be one of the best, as their vehicles are never more than an year old and tend to provide the best quality. Their rentals are also “all-inclusive” which means their pricing tends to include a lot of things, including insurance. The reason we enjoyed the Campervan with kids is because there are so many things to see and do in New Zealand, which means constant moving. When you have six people with luggage, etc, moving from one hotel to another every single morning can be extremely taxing. If you have young kids at all, I’m pretty sure you can relate. And let’s not forget the myriad things that are forgotten in the hotels almost each and every single time. Not having to pack and unpack 18 times while in New Zealand was a huge help. We also loved the ability to Freedom Camp, which meant we could wake up to some spectacular scenery! On the flip side, there are a few things you need to be aware of. Extended time in a Campervan can be rather exhausting. If there are more than two people, storage can be limited and you may end up tripping all over each other. You also need to be “plugged in” every 3-4 days, meaning ideally you should camp out in a powered site (vs. Freedom Camping) to power up the battery and have access to dump sites (though these can also be found for free on the Campermate). More on Campervan Living. 2. You’ll most likely want to spend more time on South Island versus North Island. A good rule of thumb is 1/3 South and 2/3 North. We spent about 6 days on North Island and 12 days on South Island. It still didn’t feel like enough time! 3. Try to plan your journey in Spring or shoulder season (right before high peak season summer). We chose to arrive late November and plan to leave prior to Dec. 15th, when New Zealand has their school summer holidays. Once that begins, you are not only competing with international visitors, but also New Zealanders on vacation. 4. Everything is more expensive in New Zealand. Dining in restaurants is crazy with four kids, so we often split our meals, which is sufficient. Average meals here are $18-$22 NZD per person, but remember that generally includes taxes and tips. Since we have a Campervan, we’ve also been able to shop for our own groceries and cook and prepare meals on our own, which can save a significant amount of money, if necessary. 5. Driving is on the left side of the road, so be extremely careful if you choose to drive. You do get used to it after the first day or two, but always remain alert. Additionally, when walking and exploring, make sure to look RIGHT first when crossing a street, as traffic is coming in the opposite direction. Crossing a street can be quite challenging and dangerous if you’re not paying attention, so please be careful. 6. Tune in to 102.9 FM, Tourism Radio. It connects with your GPS and lets you know about valuable sites along the way. It’s like having a tour guide in our campervan with us! We love it and have discovered things we never would have without it! Below are a few sites along the way to the Tongariro Alpine Crossing. My ability to capture the beauty we were treated to was sorely lacking, as the below photos sadly do not come close to revealing the true beauty we saw. Just stunning! Tongariro Photoblog. 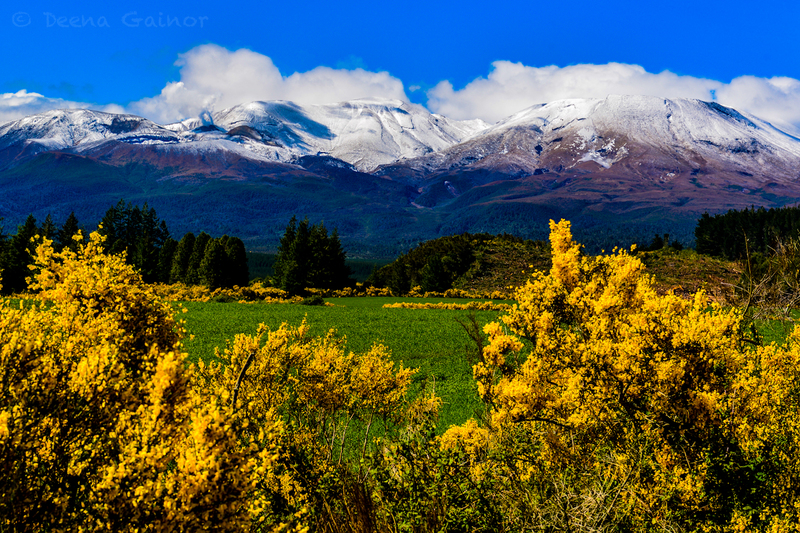 Tongariro Mountain and Flower Views! Pictured above is the Tongariro National Park, with a number of short and long hikes. The Tongariro Alpine Crossing, an all-day hike, is known as one of the world’s most beautiful treks. We’d love to have done this with the kids, but the weather conditions up high were rather harsh, and it would not have been a wise idea. One day, maybe. 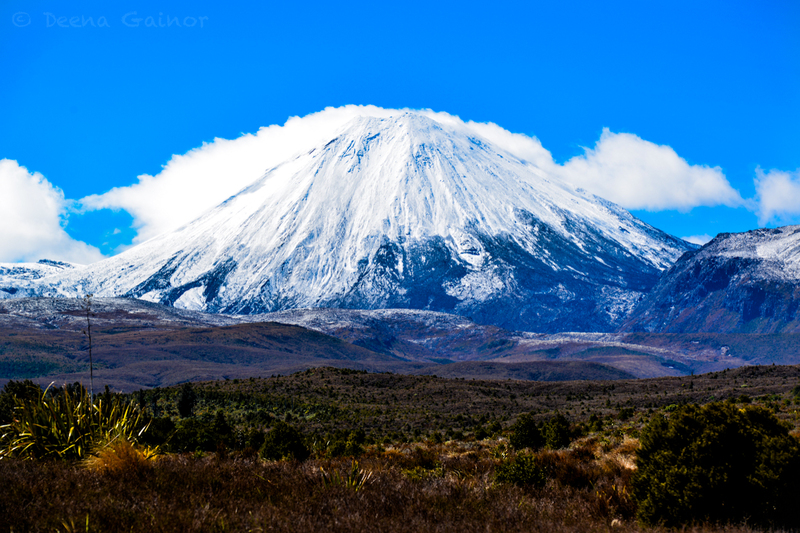 More photos on Tongariro. Below is Mt. Ruapehu. Does anyone recognize it from the Lord of the Rings? It was snowing the day we arrived, so we were gifted with this incredible view! Do you recognize this mountain from LOTR? 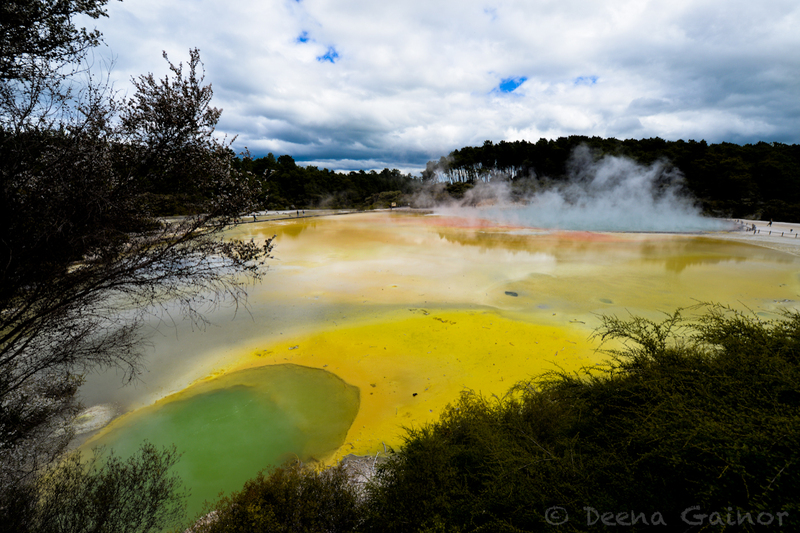 When on the North Island, be sure to visit some of the geothermal areas rife in Rotorua. Pictured below are photos from Waiotapu, most likely the best geothermal wonderland in all of New Zealand. The colors were intense and unbelievable, as was the odor (though not quite as pleasant)! Wai-o-tapu Geothermal Wonderland. Cathedral Cove! 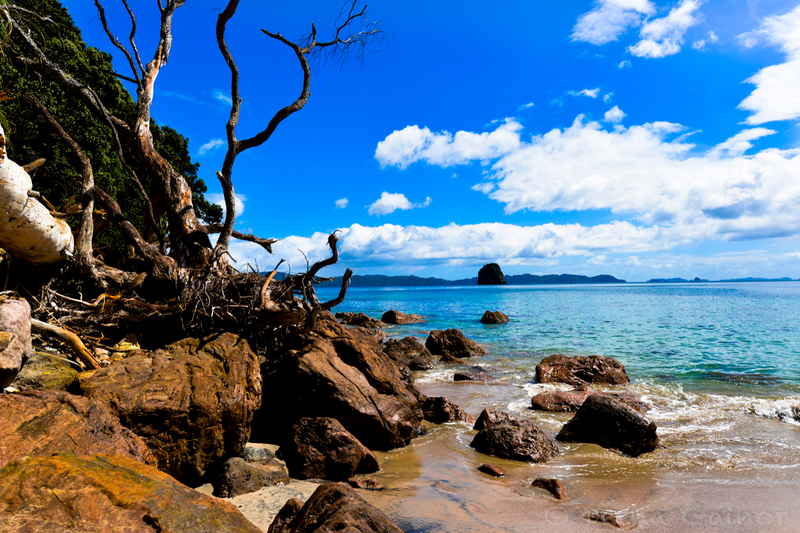 In order to reach Cathedral Cove, you can hike in, kayak over, or take a water taxi. It is well worth the trip. 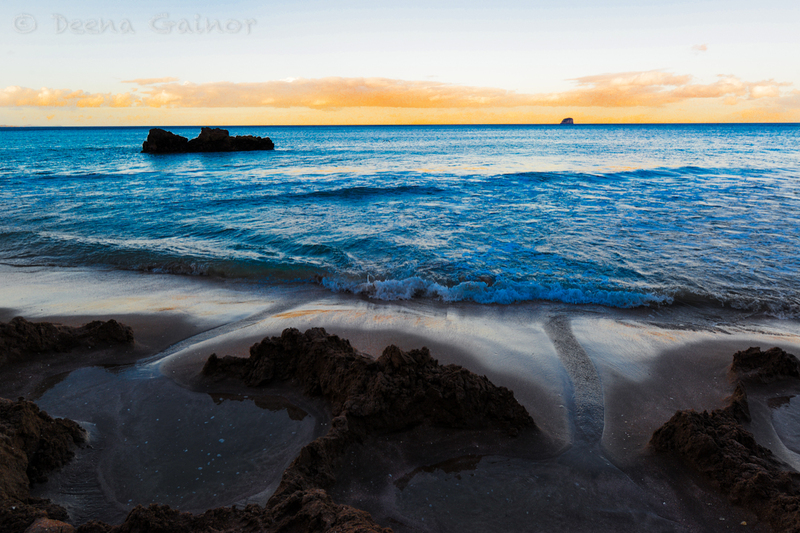 It is an untouched, gorgeous little stretch of sandy beach with incredible views and rock formations. If we had had time to hike it, we would have done so, or even kayak it, but we were short on time, so we took the water taxi. It was a short 10-minute sail over. 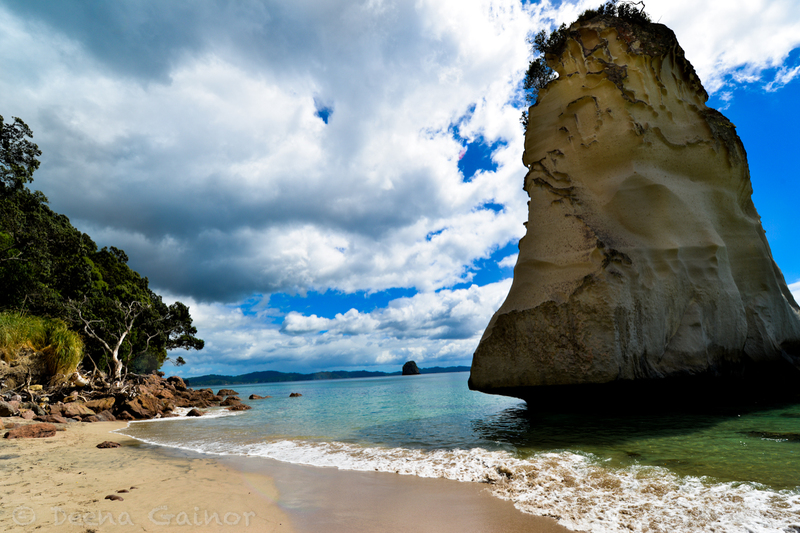 You can hike, kayak, or boat into Cathedral Cove. Take a lunch and enjoy the views! 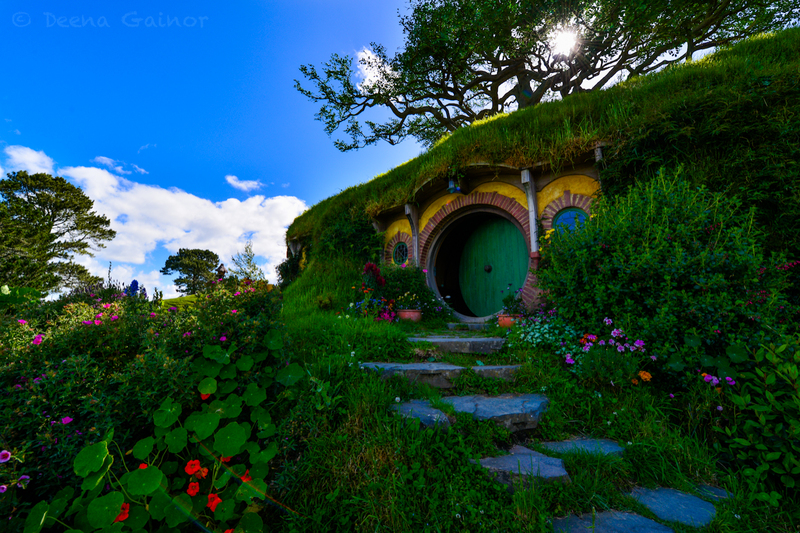 And let’s not forgot Hobbiton…if you’re a Lord of the Rings and Hobbit fan. For more on that, feel free to visit Hobbiton New Zealand. Beautiful homes. I’d live here. Below, you’ll see a photo of Hot Water Beach. This was the neatest experience. You have to time your arrival well, within 1-2 hours on either side of the low tide. Once there, you need to locate the rock from which underneath flows a hot spring. Then you start digging, until you’ve created your own private jacuzzi in the sand. If you’ve done it right, the sand and water beneath you will be piping hot, almost hot enough to burn. Be sure to bring along with you a shovel to dig and a bucket to add cold ocean water to your jacuzzi. It’s a must do experience. The Coromandel Area.